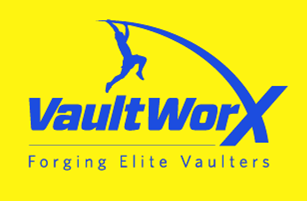 **** 2019 VAULTWORX SUMMER CAMPS**** Please fill out registration and click on SELECT CLASS toward the bottom and select a camp. **** BRAND NEW ATHLETES **** Fill out registration and select "Free New athlete Class". ****EXPERIENCED ATHLETES READY TO SIGN UP FOR REGULAR CLASSES****** Fill out registration (don't select a class) and we will be in touch. VaultWorX has regularly scheduled classes 12 months out of the year. Feel free to text Coach Matt @ 717-350-3883. I, as a student and/or parent or legal guardian of a student of VaultWorX,LLC., expressly acknowledge that this contract contains release and other risk-shifting provisions which may be operated to shift risk from VaultWorX,LLC., to the undersigned student and/or parent or legal guardian of a student of VaultWorX,LLC., and the student and/or parent of legal guardian of a student of VaultWorX,LLC., expressly accepts the responsibilities and duties resulting from such provisions. The individual(s) signing the agreement admit(s) reading and understanding the terms contained in this agreement. I (we) the undersigned student and/or parent or legal guardian of a student of VaultWorX,LLC., for and in consideration of enrollment and/or the enrollment of my child or a student for whom I have been granted legal custody hereby voluntarily and knowingly execute this release with the express intention of effecting the extinguishments of and complete release from any and all claims, actions demands or rights to monetary judgments whatsoever arising from any and all injury or physical harm which may occur to the student, including specifically those that may arise out of , or be occasioned by, directly or indirectly , any negligent act (s) or omission (s) of VaultWorX,LLC., its officers, agents, employees or servants during the student's attendance at and participation in any activities associated with VaultWorX,LLC., both on and off the VaultWorX,LLC., premises. The undersigned expressly agrees that this release and waiver is intended to be as broad and inclusive as permitted by the laws of the Commonwealth of Pennsylvania, and that if any portion of this release and waiver is held to be invalid, it is agreed that the balance shall; notwithstanding, continue in full legal force and effect. This release contains the entire agreement between the parties and the terms of this release are contractual and not merely a recital. Payment is due by the 1st of the month. Please make your payment by the 5th of the month to help us be able to pay our bills. I, as the parent or legal guardian of the above named student do hereby expressly grant authority to the staff of VaultWorX,LLC., to render a judgment concerning medical assistance in the event of an accident, injury or illness during my absence and execute this consent and release provision with the express intention of effecting the extinguishments of and complete release from any and all claims, actions, demands or rights to monetary judgments whatsoever arising from any and all injury or physical harm which may arise from the rendering of such judgments, including, specifically those that may arise out of or be occasioned by, directly or indirectly, any negligent act (s) or omission(s) of VaultWorX,LLC., its officers, agents, employees or servants involved in the rendering of such judgments. Furthermore, in the case of an emergency I consent and expressly grant the staff of VaultWorX,LLC., the authority to obtain medical assistance and treatment as they deem necessary. I understand that VaultWorX LLC., its officers, agents, employees or servants shall not be responsible for any medical expenses incurred on behalf of the above named student, and that I am responsible for all payment of medical expenses so incurred. I give permission and consent for a licensed doctor or physician to administer the necessary aid to my child or legal ward should he/she become injured or sick while in attendance at or while participating in any activity associated with VaultWorX,LLC., and to do so without having to wait until I (we) are contacted. VaultWorX,LLC., has my permission to use in their advertising and promotion photos or video taken of my child(ren) while involved in VaultWorX,LLC., lessons, camps, special events, birthday parties, or any other function. As the legal parent or guardian, I release and hold harmless VaultWorX, LLC., its owners and operators from any and all liability, claims, demands, and causes of action whatsoever, arising out of or related to any loss, damage, or injury, including death, that may be sustained by the participant and/or the undersigned, while in or upon the premises or any premises under the control and supervision of VaultWorX, LLC., its owners and operators or in route to or from any of said premises.